t seems magical: an airplane that flies without using any movable parts, such as turbines or propellers — and does so almost silently. The power comes from charged particles, called ions, in the air. Scientists at the Massachusetts Institute of Technology (MIT) have now demonstrated that such an ‘ionocraft’ really flies. In doing so, they may have inaugurated a new era of flight. The ionocraft is based on the principles of electro-aerodynamics. The key to its propulsion is a strong electrical current that is generated between two wires at the front and rear of the wings. These wires serve as electrodes, just like the plus and minus poles of conventional batteries. The thin frontal wire (the anode) generates electrically charged particles. These ions are then accelerated towards the thicker wire at the rear (the cathode) by the Coulomb force. During their passage from anode to cathode, ions collide with neutral air molecules. These, in turn, are ‘pushed’ forward by the ions and thus create airflow. The resulting ‘ionic wind’ provides the lift that keeps the plane in the air. The process is virtually silent and generates no emissions. The concept of such ‘ionocraft’ or ‘lifters’ is not new. However, until now it has been assumed that such aircraft were unrealizable. The researchers at MIT have demonstrated that this assumption is wrong. They succeeded in building an aircraft that turns the ionocraft concept from a pipedream into a reality. Their prototype has a wing span of 5 m and weighs only 2.45 kg. It is powered by an electrical potential of 40,000 V — in comparison, flashlights use a working voltage of 1.5 V, car batteries 12 V, and wall sockets provide 220 V. To amplify the propulsion, the MIT ionocraft’s electrodes are made up of whole lattices rather than single wires. Although the plane was unable to take off on its own, once in the air, its propulsion system was sufficient for independent and sustained flight for 12 seconds. In that time, the ionocraft flew a distance of 55 meters, borne along simply by the ionic wind. In comparison, without the lift provided by the ions, it traversed distances of only a few meters. That might not sound like a lot, but the scientists have demonstrated that electroaerodynamic propulsion is possible in principle. One should also keep in mind that the first engine-driven flight in 1903 likewise lasted for no more than 12 seconds — and the Wright brothers’ biplane covered less than 40 meters. Like conventional airplanes, the MIT prototype still uses a mechanical rudder and elevators. However, the researchers hope that future ionocraft will be able to navigate entirely without movable control surfaces. In that case, completely static objects would glide through the air — much as in science fiction movies! The crucial question is whether the ionocraft’s propulsion system can be scaled up for use on passenger planes and cargo flights. To answer that question, the MIT researchers are now trying to make the propulsion system more efficient, so that more ionic wind is generated using a lower voltage. However, the idea of equipping unmanned drones with electroaerodynamic propulsion systems is within the realms of possibility. It is even conceivable that these systems could be used by hybrid passenger planes in the future. Perhaps we’re thus about to enter a new era of flight. — What’s more, it could well be a silent and climate neutral one. Xu, H., He, Y., Strobel, K., Gilmore, C., Kelley, S., Hennick, C., Sebastian, T., Woolston, M., Perreault, D. and Barrett, S. (2018). 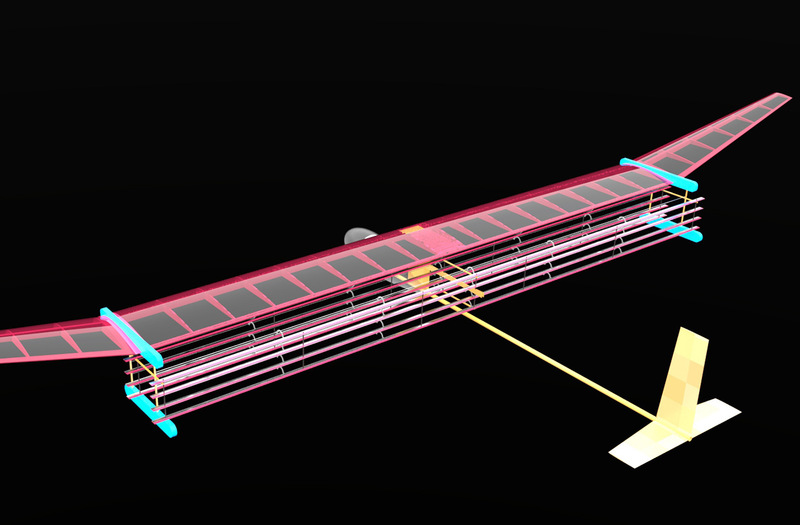 Flight of an aeroplane with solid-state propulsion. Nature, 563(7732), pp. 532-535, <www.nature.com/articles/s41586-018-0707-9>.